PRE ELECTION RALLY/VIGIL AT THE LA PHILIPPINE CONSULATE , MAY 6 Bantay Pilipinas is holding a(3600 Wilshire Blvd) on Wednesday, May 6, 2010 at 5:00PM. pre-election vigil in front of the Philippine Consulate in Los Angeles. 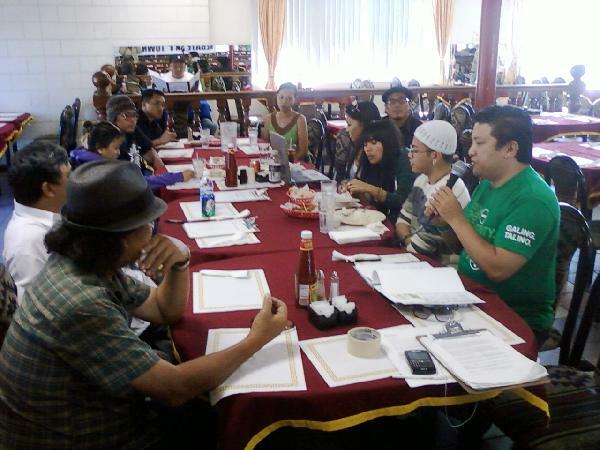 Bantay Pilipinas is holding a(3600 Wilshire Blvd) on Wednesday, May 6, 2010 at 5:00PM. pre-election vigil in front of the Philippine Consulate in Los Angeles. The COMELEC PCOs counting machines has concked out after spending billions of pesos. The COMELEC might go back to manual counting. What will the COMELEC DO? Violence is on spiral with killings in Isabela, Davao, Abra and other places. Let us be vigilant! PANAWAGAN SA MGA KINAUUKULAN: IGALANG ANG KARAPATAN NG SAMBAYANAN!! BALOTA O KALSADA MASA ANG MAGPAPASYA! ALL OUT ON MAY 6!